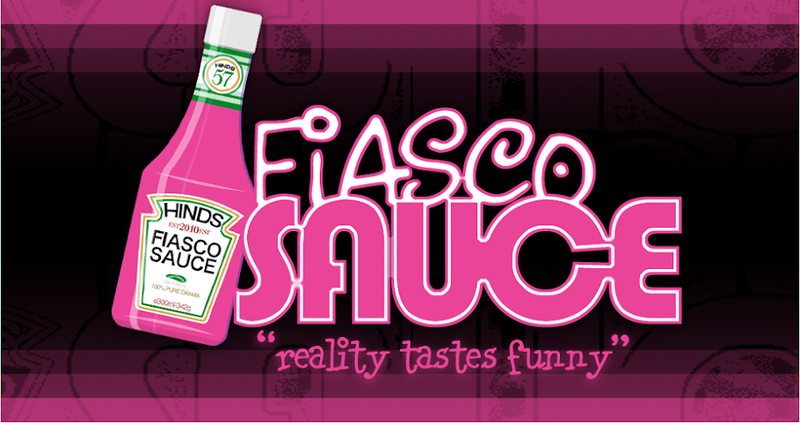 Fiasco Sauce: Bridezillas - "Kera & Tifani"
Bridezillas - "Kera & Tifani"
Tifani, 27, and her music-producer-wannbe fiance Jonathan, also 27, live and work in Shreveport, Louisiana, and that is where they will be married. They have been together 12 years ... and they met in high school. They have one child and lots of stories to tell on each other. He cheated on her then she cheated on him and now that that is out of the way, it's time to get married. At a fitting for her bridal gown, Tifani doesn't want to put it on because the more she tries on her wedding dress, the less she likes it. So, it makes sense for her bridesmaid, Tisha, who is a different size, to try it on. Tifani insists. It doesn't fit. She still won't try on her dress. The seamstress will have to make do. This bridezilla will not change her mind or her clothes. Then, Tisha still in tow, they head to the wedding site to check out the chandeliers that will line the rows of her outside wedding. However, there are only two. Tifani asks Tisha what she thinks and then doesn't like the truth! Tisha thinks she needs a few more fixtures, and thinks red candles might be nice. Red candles? Tifani thinks Tisha is off her rocker if she thinks candles would look good in a "chandelier" made for candles. Flowers! Tifani wants flowers in the stupid thing. Because Tifani is on a budget, her mom is serving as the caterer. Tifani still insists on a taste test and her mom feeds her from a pan of "dirty rice." When Tifani and her mom start working on the dining budget, Tifani starts eliminating things to save money ... the beef in the rice, the salad, the plates? Pretty soon she doesn't even want to serve the guests food. Then, with mom's encouragement, she makes some comment about using her "food stamp" card for food. I'm pretty sure those are not meant to pay the catering budget. Money. Money. Money. Tifani wants a fancy glam wedding, but in no way does she want to pay for it. Next to feel her penny-pinching ways is Shana, the friend and videographer, who wants a measly $75 for her trouble. Shana admits she was going to do it for free, and make Tifani sweat a little, until Tifani starts berating her for choosing to pay other bills vs. paying for a bridesmaid dress. So, now she pays Shana, too. It's drama for Kera when she and her crew head to the bridal shop for the wedding dress and bridesmaid dresses and they aren't ready ... and they leave for the wedding the next day. She practically threatens the poor little elderly seamstress who begins hemming for her life. Literally. Then Kera cries and pouts and has a little fit. She keeps crying even though things are going her way. Wait ... is she doing this for the cameras? At Kera's bachelorette party, her MOM wants to buy her a lap dance. Really mom? Next day, karma hits the inappropriate mom and her car breaks down on the way to the Vegas nuptials. Kera don't care. She heads on without her. After she is in Vegas, the party starts again. On her wedding day, Kera is beautified by the Treasure Island hair stylist and makeup artist, and Kera is happy with the results. Married finally in the casino chapel ... they promise lots of love to each other and no kids just yet. They need to grow up first. Bridezillas - "Tifani & Johanne"
Jersey Shore "Damage is Done"
Big Easy Brides "Booty Bouncing Bash"
Big Easy Brides "River Boat Rivalry"